In tandem with the exhibition, a panel discussion, free and open to the public, will be held March 9 at 4PM at the Austin Central Library. It will explore the role of the UNESCO Creative Cities Network (UCCN) and the individual and joint initiatives of its member cities and their communities to promote digital artmaking. Immersive media exhibitions have become highly popular in recent years, showing much success in attracting and engaging audiences. Media artists have unprecedented new opportunities but also face unique challenges. These demands include securing funding, fabricating complex artwork, creating work that can tour, and maintaining tech-dependent art. At the moment, there are few organizational or informational sources of support for media artists. In order to fill this gap, media artists and arts administrators from UNESCO Media Arts cities around the world will gather to share their lessons about how to navigate and thrive in this new art landscape. 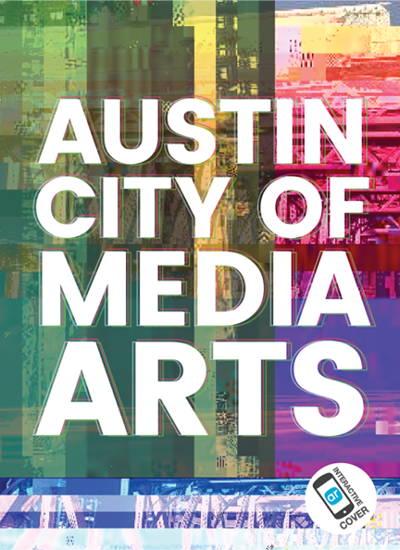 In 2015, Austin achieved the distinction of being the first (and only) city in the United States to receive a “City of Media Arts” designation from UNESCO (United Nations Educational, Scientific, and CulturalOrganization). The designation underscores Austin’s reputation as a trendsetting global city at the intersection of art, music, and digital technology, and an international hub for creative exchange. From individual artists to wide-ranging arts organizations, Austin has a rich and diverse cultural ecosystem. The city is recognized for its innovation and leadership in industries including music, film, gaming, and multidisciplinary digital experiences, and festivals such as South by Southwest (SXSW), Austin City Limits and the Fusebox Festival have made Austin a premiere cultural destination. As a member of the UNESCO Creative Cities Network (UCCN), Austin works individually and in partnership with other UNESCO cities to promote creativity and cultural industries, strengthen participation in cultural life, and assure the integration of culture into urban development plans. To learn more about Austin's UNESCO designation and activities, click the image below. 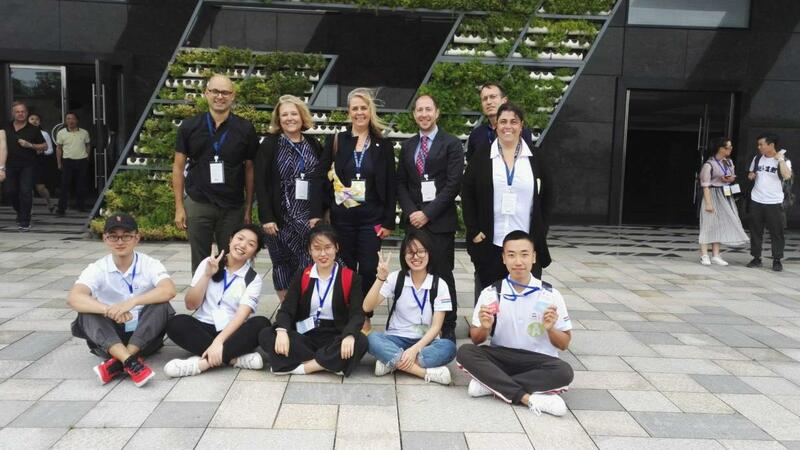 Image: Jacob Villanueva and Sue Lambe (top row, first and second from left) with other delegates at the Media Arts Festival. Each year, Changsha, China, a fellow UNESCO City of Media Arts, hosts the Changsha Media Arts Festival. Sponsoring delegates from around the globe, including those from the UNESCO Creative Cities Network (UCCN), the Changsha Festival highlights the city's innovation in the media arts and serves as a platform for global exchange to further this field. 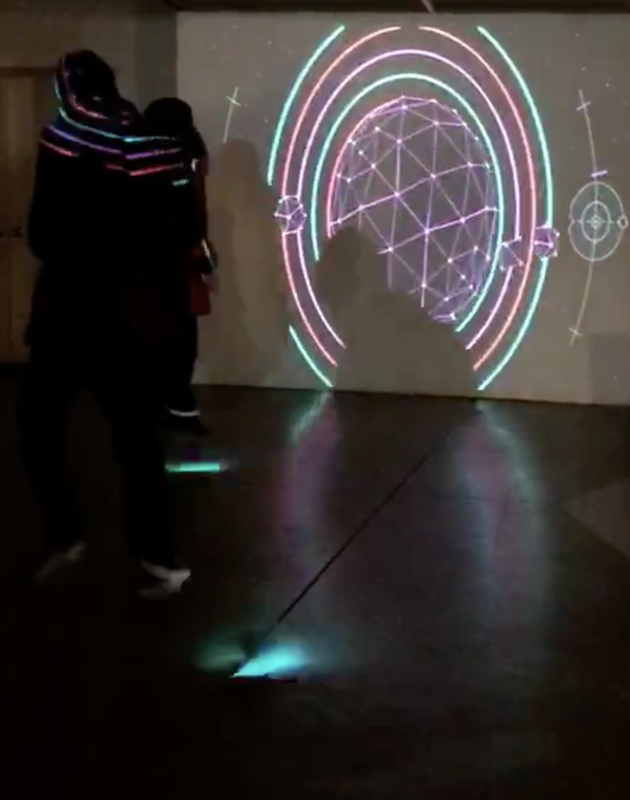 In May, Jacob Villanueva, a local artist working in media arts, represented Austin at the international event, accompanied by Sue Lambe, Art in Public Place Program Manager. We sat down with Jacob to learn more about his trip and what lessons we in Austin could learn from his experience. Jacob, how and why were you selected for this trip? I currently serve on the Art in Public Places Panel and the UNESCO Advisory Committee for the City of Austin. I have a wide range of experience in various media arts and, in my role as panelist and committee member, I assist with making artistic decisions for the city. At the suggestion of Mayor Pro Tem Tovo, and with support of the Cultural Arts Division, I accepted the invitation to represent Austin's media arts community in Changsha and welcomed the opportunity to see how global cities are currently supporting media arts. What surprised you most about arts and culture in Changsha? It was surprising to see how strongly ancient Chinese arts influence the newer art forms in China. The level of craft and detail of Chinese arts of the past continues to carry through to more contemporary arts. Like Austin, Changsha is a UNESCO media arts city. 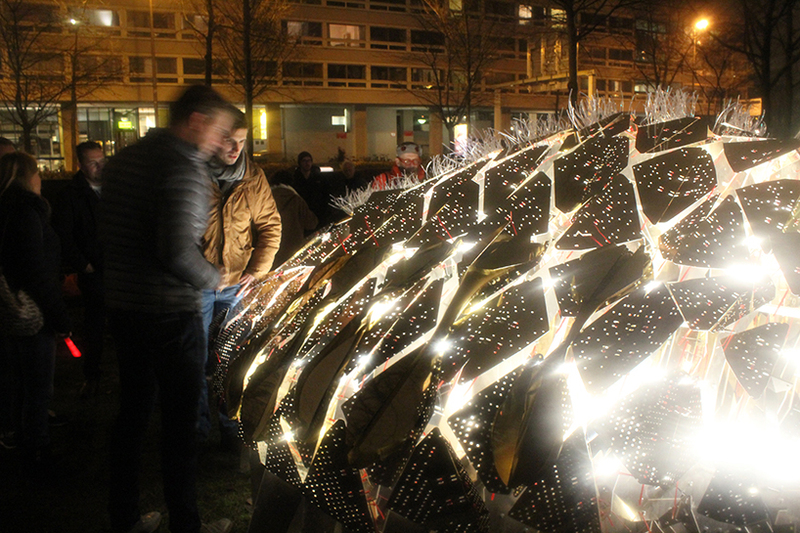 How were media arts integrated into their city and cultural community? During my visit to Changsha, I was exposed to a wide range of traditional crafts and newer media arts. The simple dialog of describing media arts in Changsha led me to believe that there isn't much of a distinction between traditional and new media arts there. The arts, collectively, are woven together. Conversations about a traditional craft such as ceramics had the same level of prestige or importance as newer media. Were there any activities or programs that you saw that could be retooled and implemented in Austin? Changsha has an interest in developing more exchanges with global artists and I think this is a great idea for Austin to explore. I got some of the most important visual information from going through the museums and performances, but it was the exchange and sharing of ideas from people in the community that was the greatest benefit of my experience there. 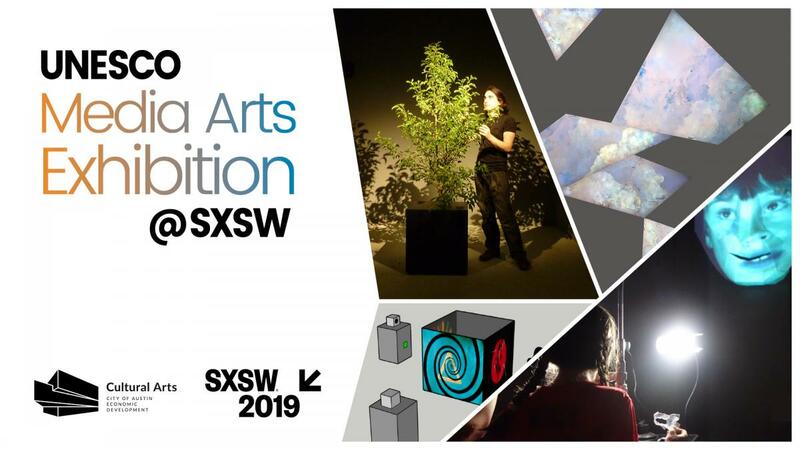 The Cultural Arts Division and SXSW have joined forces to develop an annual UNESCO Media Arts Showcase at SXSW. The inagural showcase was hosted March 12-13, 2018 as an official part of SXSW’s art program and its new Cities Summit. The showcase comprised a mini-exhibition of media art installations and a companion panel discussion highlighting the global initiatives of the UNESCO (United Nations Educational, Scientific and Cultural Organization) Creative Cities Network. In tandem with the exhibition, a panel discussion was held March 12, 2018 at the Four Seasons. The session explored the role of the UNESCO Creative Cities Network and the individual and joint initiatives of its members to promote creativity and cultural industries, strengthen participation in cultural life, and assure the integration of culture into urban development plans. As part of the City of Media Arts cluster, Austin participates in international UNESCO exhibitions. Vurv Collective (Kevin Reilly) represented Austin at the Gawngju Cultural Foundation Artist Exchange Exhibition in December 2017. The exhibition featured works from several other UNESCO Media Arts Cities and was held in conjunction with the 2017 Gwangju Cultural Foundation Meeting, which City staff attended. Artist Clay Odom (Studio Modo) represented Austin at the UNESCO “Data City” exhibition in Enghien-les-Bains, France, April-July 2017. The exhibition featured works from several other UNESCO Media Arts Cities and was held in conjunction with the 2017 Creative Cities Annual Meeting, which CAD staff attended. Check out this video for an overview of Austin's many media arts initiatives.